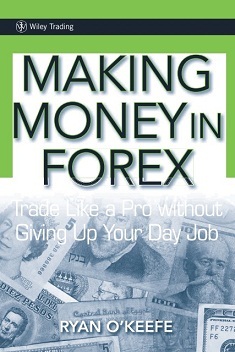 I wrote this book to help people learn to trade around day jobs they can’t quit cold turkey. It contains the experience and methods I’ve developed after nearly a decade of analyzing, trading, and writing about the spot cur-rency market. The book’s objective is to persuade you from chasing proﬁt all over a ﬁve-minute chart and learn to trade using a steady, long-term approach. You should understand up front that I am a trader, not an analyst. This book contains my experience and methodologies as a trader interested in two things: reducing risk and making money. I don’t care about market correlations, the Big Mac Index, or speculating about whether a central banker is going to shave his mustache off. I do not spend my time analyzing the market to death; I’m a trader and making money is all I care about.